No two people’s hearing needs or preferences for treatment are the same. Fortunately, the days of only having large, clumsy-looking, beige hearing aids to choose from are over. Today’s models are tiny, high-tech marvels so surprisingly stylish that it’s perfectly okay if someone catches a glimpse. Modern hearing aids feature useful options to suit almost every hearing loss and fit into any lifestyle. Whether you’re looking for a sporty solution that can stand up to the elements or a discreet way to boost your understanding of conversation in noise, you’re sure to find hearing aids that fit your preferences. Hearing is an important part of everyday life, yet most people don’t even think twice about what it means to be able to hear well. Chatting with friends, listening to the sounds of nature, enjoying music, or hearing warning signals — with perfect hearing they can all be taken for granted. Hearing plays an important role in how your child relates to their surroundings. It helps them form relationships and opens up a wealth of sensory experiences. It is also very complex and extremely sensitive. 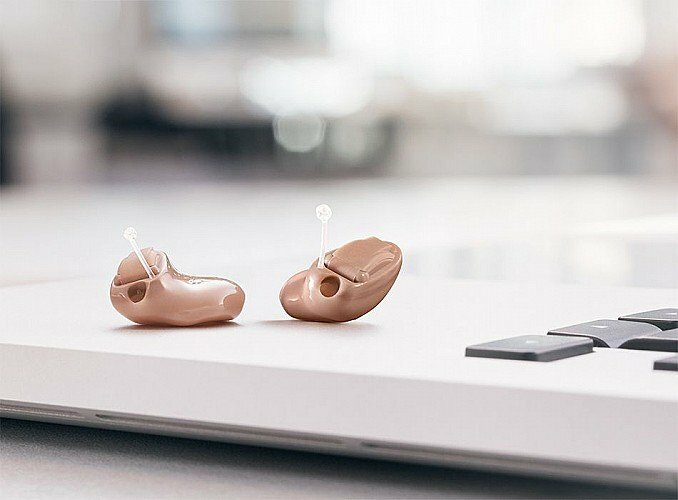 OUR NEW SIGNIA HEARING AIDS SIGNIFICANTLY REDUCE LISTENING EFFORT THROUGHOUT THE DAY BY HIGHLIGHTING SPEECH IN A WIDE VARIETY OF CHALLENGING LISTENING ENVIRONMENTS. OUR NEW, DEDICATED MUSIC PROGRAMS TAKE MUSIC ENJOYMENT TO A WHOLE OTHER LEVEL THAT WILL SATISFY EVEN PROFESSIONAL MUSICIANS. ADDITIONALLY, WE OFFER ACCESSORIES AND DOWNLOADABLE APPS TO MAKE CONTROLLING YOUR HEARING AIDS SIMPLE AND DISCREET. Do you hear ringing, buzzing, or other annoying sounds in your ears? It might be tinnitus. Many people feel it lowers their quality of life, whether or not it’s accompanied by hearing loss. But you can learn to live with tinnitus by learning what it is and how to control it, instead of letting it control you.